Now that summer has unofficially started, it’s time for a fresh fling to begin. 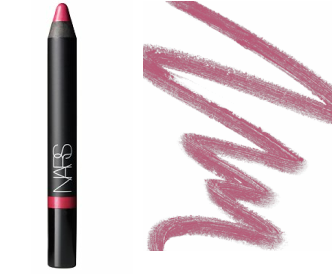 My new lover this season is this NARS Velvet Gloss lip pencil, in an irresistible color known as New Lover. François has nailed it again with the perfect rosy shade to make you pucker up over and over. This is the pink you want for summer but not the Barbie-pink you don’t. Satiny and with a hint of gleam, the lush, chubby lip pencil is so easy to apply (you barely need a mirror) with a texture that’s silky-smooth. Not at all smacky or sticky. 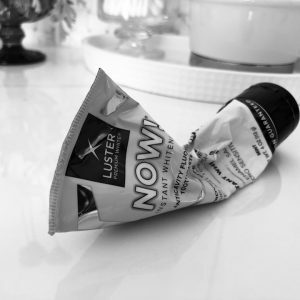 I’m so tired of dealing with the oozy mess of gloss in my bag, especially as temperatures rise. This smart stick delivers that nice sheen, with none of the gross gloppy-ness. Let the weather heat up and the romance begin! At Saks Fifth Avenue for $24. It has beautiful soft color. Thanks for the review. I will buy it. This is so pretty. I definitely need to purchase one of these!